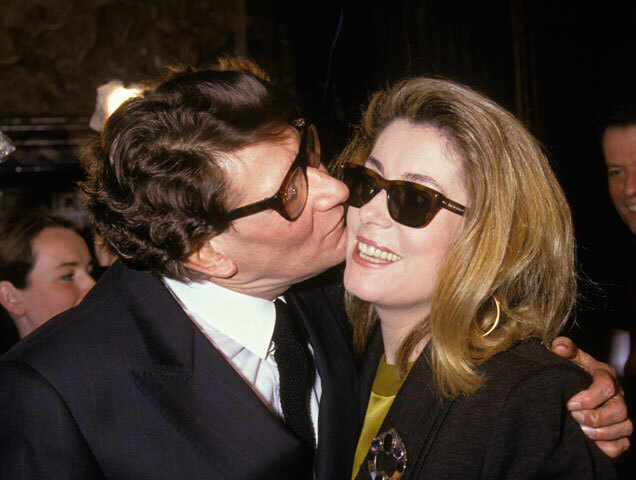 World-renowned French actress Catherine Deneuve has announced she is auctioning off 300 items from her personal Yves Saint Laurent collection early next year. She was the muse of the brand and had a 40-year friendship with the designer, so it was a bittersweet decision. When Deneuve was 22 years old, she sought out a designer to dress her for her meeting with Britain’s Queen Elizabeth II. At the suggestion of her then-husband David Bailey, she met with Saint Laurent, who went on to dress her for years, even making the costumes for her iconic film, Belle de Jour by Luis Buñuel in 1967. It is no surprise, then, that the French actress would have accumulated hundreds of YSL pieces. On January 23, 2019, during Paris Couture Week, Christie’s France will unveil 300 pieces from Deneuve’s YSL collection of clothing and accessories. The following day, 150 pieces will be sold in the auction while the other 150 will be sold online. If you’re a fan of Deneuve or Saint Laurent, now is a good time to start saving up since prices start at a minimum of 1,000 euros ( $1134.06) and could even reach up to a starting point of 5,000 euros ($5670.32).